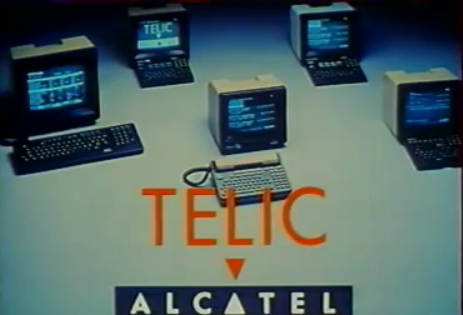 This small terminal has been manufactured by Alcatel since 1980s, first to use with Minitel French network, later built with software to order. In a small case it has a black and white CRT, telephone modem and keyboard. Keyboard can be opened and closed, it's a very compact device. 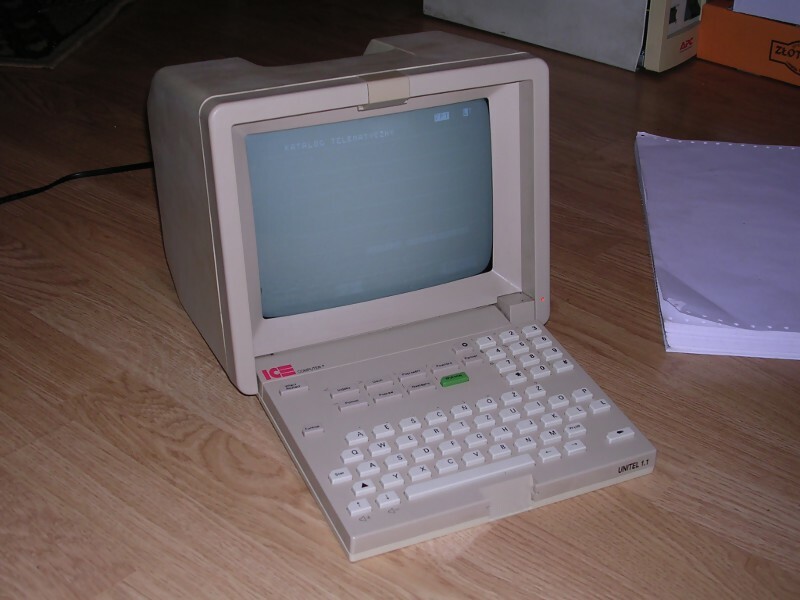 My unit is not for Minitel, it's "Unitel" which was sold as universal terminal, used to control systems with telephone line. It has a phonebook with 5 services' numbers, selected service may be called, then it goes to terminal mode. Terminal is powered from 220V line to CRT board. On logic board there are 4 connectors for telephone line (near relay) and two for speaker (near ROM board and DIN socket, I don't know what is this DIN socket for). ROM board is soldered opposite to CRT board, which is connected to logic board with large goldpin connector. 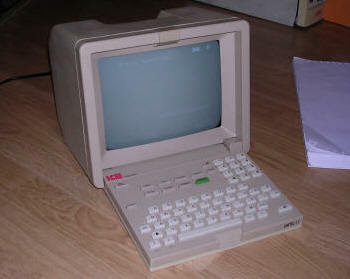 This terminal has Polish characters, keyboard and menu, it can use the following transfer protocols: Prestel, Teletel, ASCII 40, ASCII 80, PAD X3. Additional ports: Serial port - Minitel extension DIN connector on the rear. Password in my unit was stored in 24C02 chip in mainboard. It should be desoldered and read with programmer. Password is stored in plaintext, offset 0x06-0x09, 4 characters. This document in French explains Minitel device.